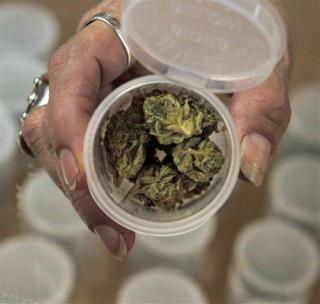 (Newser) – Sobering news for those who argue that legalizing medical marijuana will lead to more stoner kids: Researchers reviewed the habits of some 25,000 youths in Massachusetts, where medical pot isn’t legal, and 13,000 in Rhode Island, where it became so in 2006. Studying data from 1997 to 2009, they found that no matter the state or the year, about 30% of the youngsters indulged in the drug, Time reports. Next on Newser: Cain's Next Move: Sue Politico? Marijuana, pot, weed, grass, whatever you call it, is the best thing we have today to make our lives enjoyable. If our legislators were to smoke, toke, hit (as long as they don't bogart) the stuff, we'd have a much better America. Don't forget, even Jesus' first miracle was to get his friends high at a wedding. For adults, that's a different story.